THE OWNERS RAISED THEIR CHILDREN here, now MOVE-IN READY FOR YOUR FAMILY, this 3 Br. 2Ba. 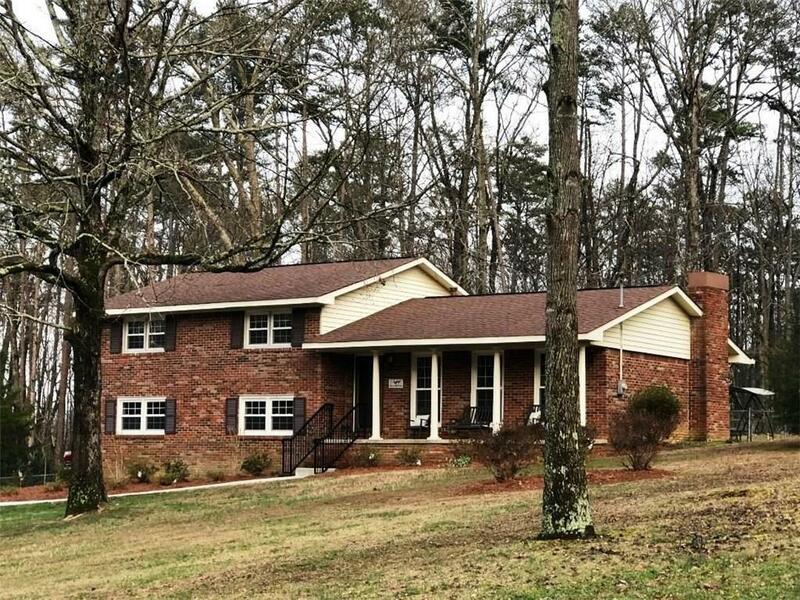 home has been meticulously maintained, eat- in kitchen with granite counter tops, lrg living room, w. wood floors, tiles, & carpet throughout, tub/shower combo in front bath has been tiiled, nook for make-up table, cozy din. room w. masonary FP & custom mantel, lrg. fenced back yard.. perfect areas for pool, play area, cozy den downstairs that could be a multi-use room, ie. 4th bedroom, playroom, or cozy man's cave, one car garage w. garage door. Directions: I-75 N To Exit 312, Turn L Onto Hwy. 53, Slight R Onto S. Wall St./Hwy 41 N., Right Onto Peters Street, Just Past Prater Ford, First L. Onto Cherry Hill Dr., 2nd R. Onto Woodland Dr., Continue On Woodland Dr. To 291 Woodland On Right..sip.